Taranaki is situated on a peninsula on the west coast of the North Island, surrounding the volcanic peak of Mount Taranaki. The two large bays on either side of the peninsula's westernmost point, Cape Egmont, are prosaically named the North Taranaki Bight and the South Taranaki Bight. Mount Taranaki, also known as Mount Egmont, is the dominant feature of the province, being the second tallest mountain in the North Island. The mountain is a near perfect cone and dominates the landscape. It last erupted in the mid-eighteenth century. The mountain and its immediate surrounds form Egmont National Park. New Plymouth is the main township and other notable areas are Waitara, Inglewood, Stratford, Opunake, Eltham, Hawera and Patea. The province is exceptionally fertile, thanks to generous rainfall and the rich volcanic soil. Dairy farming predominates, with the milk factory just outside Hawera being the second largest in the Southern Hemisphere. The manner in which the land mass projects into the Tasman Sea with northerly, westerly and southerly exposures results in many excellent surfing and windsurfing locations, some of them considered world-class. Bulls is a small town near the South Taranaki Bight of the west coast of the North Island of New Zealand. It is situated in a thriving farming area in the Rangitikei District at the junction about 160 kilometres north of Wellington. Hawera is the second largest town in the Taranaki region of New Zealand's North Island. 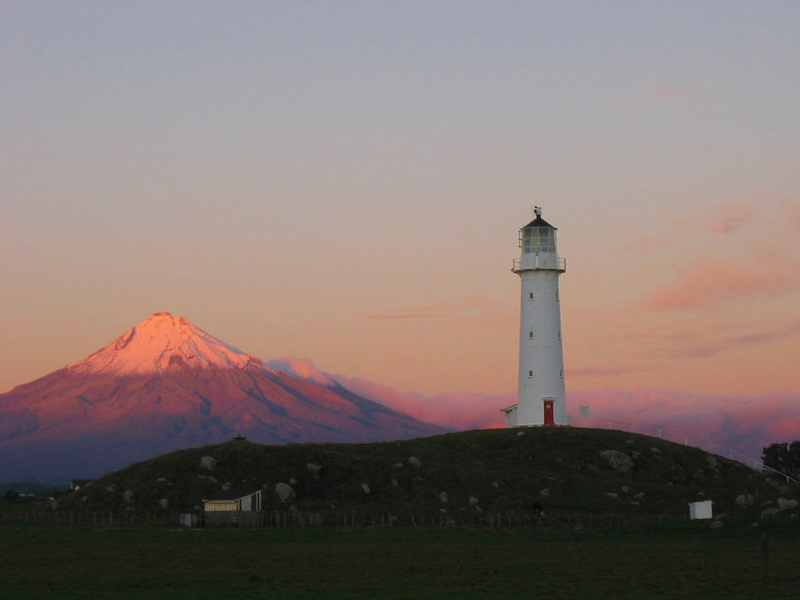 It is located on the coast of the South Taranaki Bight, 75 kilometres south of New Plymouth. The town's name of Hawera (Maori for burnt place) is apt, as the town suffered extensive blazes in 1884, 1888, and 1912. For this reason a large water tank was built close to the town, and it is now one of Taranaki's best-known landmarks. New Plymouth is the port and main city in the Taranaki region on the west coast of the North Island of New Zealand. The area where New Plymouth was founded had been the historic home for several Maori iwi (tribes) for centuries. Early European whalers operated in the area for some time before the ship William Bryant arrived in 1840 to disembark the first of the European settlers. Today, the city is a service centre for the region's principle economic activities including intensive pastoral activities (mainly dairy farming) as well as oil, gas and petrochemical exploration and production. 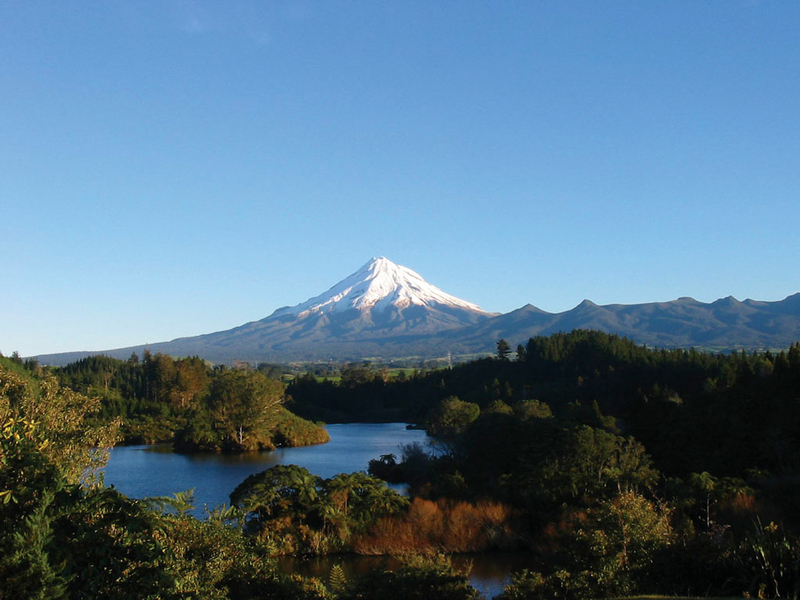 Notable features are the excellent botanic gardens, the controversial 45m high artwork called the wind wand crafted by noted New Zealand artist Len Lye, and the picturesque views of Mount Taranaki, also known as Mount Egmont. Being a coastal city with a mountain within one hour's drive away, the more adventurous residents of New Plymouth can snowboard, ski, water ski and surf all in the same day. We are very fortunate when we found Donna on this website. My husband and I were making our first trip to Australia and wanted someone who knew Australia. Donna spoke to both my husband and I to determine the right travel plans and budget. All of the specialized travel plans were perfect~ Most of the tour guides knew Donna personally which made it all the more special as they knew just how to adapt the tours to our specific needs and wants. On our first meeting in Australia at Sydney Airport, we met the most wonderful driver - Paul - who knew Donna and was the most gracious, wonderful, and informative guide I've ever experienced. And our Blue Mountain tour guide - Trevor - was ... well there are no words to describe how happy we were to have him as our guide. For those of you out there who are planning a trip to Australia or New Zealand... Donna Thomas is the most creative, masterful planner out there... You'll be wasting your money if you use anyone else! THANKS DONNA...WE LOVED IT!!!!!!!!!!!!!!!!!! !